We have come to know through our sources that the test drives of the Mahindra Alturas have started at various authorised M&M dealerships across the country. The Alturas will officially launch on November 24, and its deliveries will begin on November 26. The car can be booked for Rs 50,000. The Mahindra Alturas is the same as the G4 Ssangyong Rexton. The only difference is due to a new grille with a Mahindra badge and a different shape of the alloy wheels. Also, the latest Rexton is available with a petrol engine option in its home market, but the Alturas has a diesel engine and automatic transmission combo only. The automatic gearbox for the new Mahindra Alturas SUV is a seven-speed unit sourced from Mercedes. It’s powered by a 2.2-litre diesel engine that produces a maximum power of 180.5 bhp and a peak torque of 450 Nm. There will be two variants on sale – 2WD AT and 4WD AT. The 4WD-equipped model will be available with a higher set of features. The new Mahindra Alturas SUV was earlier expected to be called either the XUV700 or the Inferno. However, Mahindra has decided against both the above names. Instead, it has chosen the word ‘Alturas’, which means ‘height’ or ‘pinnacle’ in Portugal. 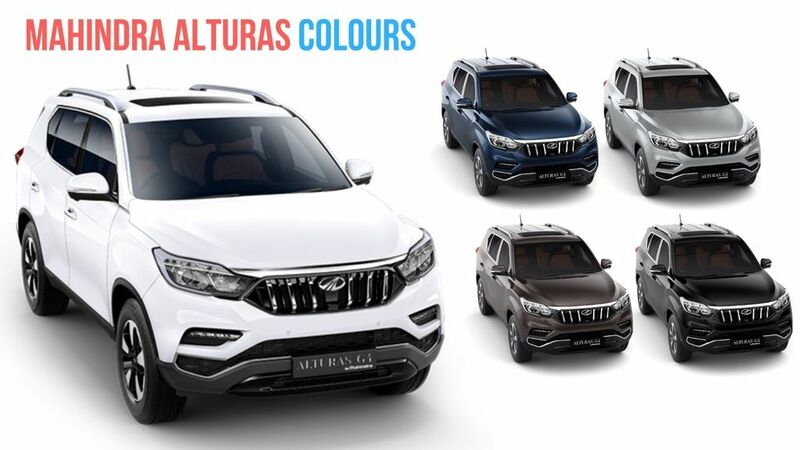 On its official website, the Mahindra Alturas has been described as a competitor of the ‘players that operate in the INR 30+ Lakhs (Ex-Showroom) price range.’ Once launched, the new SUV should be seen battling it out with the Toyota Fortuner and the Ford Endeavour.